The dielectric material composed of polar molecules and non-polar molecules under the action of microwave electromagnetic field, in which the polar molecules are changed from the original thermal motion state to the alternating with the microwave electromagnetic field, causing intense friction between molecules. In this microscopic process, the microwave energy is converted into heat in the medium, causing the temperature of the medium to appear to be a macroscopic increase, which is the microwave thermal effect. However, the role of microwaves and organisms is a complex process, with the exception of thermal effects and non-thermal effects. The non-thermal effect is manifested by the microwave electric field changing the electron distribution of the cell membrane section, affecting the electron and ion concentration around the cell membrane, changing the permeability of the cell membrane, and the cells cannot be normally metabolized, thereby causing cell dysfunction. Another explanation for the non-thermal effect is that polar molecules such as proteins, nucleic acids, and water cause the rotation or vibration of protein clusters in the microwave field of high frequency and strong electric fields as the polarity of the microwave changes, resulting in denaturation of protein molecules. 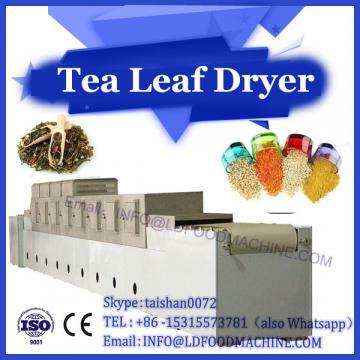 The dryer sterilizer is the result of the synergy between the microwave thermal effect and the non-thermal effect. 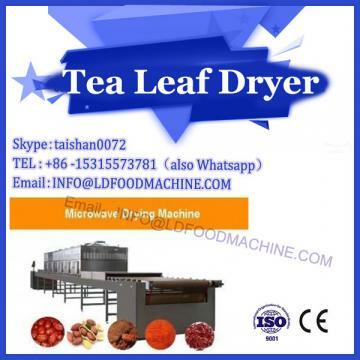 The microwave heat effect raises the temperature of the substance, and the molecular structure of the protein, nucleic acid and the like in the microorganism is modified or inactivated, thereby killing the microorganism. The non-thermal effect of microwave causes the organism to produce a strong biological response without causing significant temperature rise inside the body, causing various physiological, biochemical and functional changes in the organism, resulting in the death of the bacteria and achieving the purpose of sterilization. (1) Microwave sterilization is physical sterilization, safe and harmless. It can kill harmful microorganisms such as bacteria, mold, eggs and viruses without adding chemical preservatives. When the food is sterilized, it will not cause toxic or radioactive re-contamination of the food, nor will it change the color, flavor and nutrients of the food. (2) Without preheating, under the same conditions, the lethal temperature of microwave sterilization is lower than that of conventional heat sterilization, and the sterilization effect is more remarkable. (3) The sterilization cycle is short, the speed is fast, the consistency is high, and the whole sterilization can be performed on the sterilized material table at the same time. Microwave heating is a dielectric material that consumes electric field energy and generates heat. 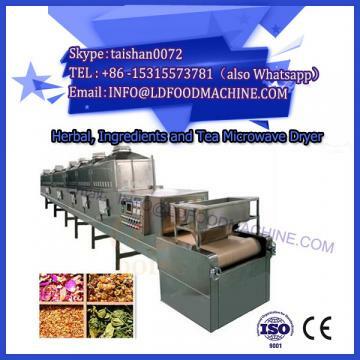 Therefore, the microwave heating and sterilization treatment time is greatly shortened. Under a certain power density intensity, a satisfactory effect can be achieved in a few tens of seconds and a few minutes. Microwave has penetrability, and acts on both the surface and the inside of the medium to ensure that the internal and external temperatures meet the required values together, so the sterilization is uniform and thorough. (4) Effectively avoid the impact on food quality due to prolonged heating. Microwave sterilization can achieve the best results for materials that need to be sterilized while maintaining the quality requirements such as color, aroma and taste. (5) Saving energy. The microwave energy conversion efficiency is high, generally above 70%. Microwave sterilization is the direct treatment of materials, there is no additional thermal energy loss, generally can save 30% to 50%. The equipment requirements are simple. Compared with conventional sterilization equipment, microwave sterilization equipment has no special requirements for the plant. No boilers, piping systems, coal yards, and transportation vehicles are required, as long as they have basic water and electricity conditions. In addition, the microwave sterilization equipment has no high temperature, no heat resistance, no heat radiation, and can greatly improve working conditions.